Maybe I don’t look excited, having just woken from a two hour nap, but look at what I’m wearing. Those are long pants! Long pants that I could wear without sweating because the weather is so much cooler. Hallelujah! Before that two hour nap commenced, I felt Joshua’s hiccups for the first time. It was a steady throb that was slower than my heartbeat, so I knew it wasn’t a pulsing artery, even though that’s what it reminded me of. Dennis was lying beside me (we are always tired on Sundays since we have to get up earlier than usual, and have taken to napping in the afternoon) and I put his hand on the spot I where I felt it, and he felt it too. Pretty neat! I was waiting for it and thought maybe I just had a baby that didn’t get the hiccups, but it finally happened. I officially feel pregnant. I felt pregnant before, but I feel really pregnant now. I look back on my second trimester pictures and miss that little manageable belly, so I should probably try to appreciate the bigger one I have now because I’ll be doing the same thing with these pictures in another month when I’m the size of a manatee. To see week-by-week progression photos, you can click here. My belly was so cute during the second trimester. What happened? LOL! Someone else is happy with the cooler weather. Little Miss Priss! (One of her many nicknames.) She loves winter and hates summer so we’re totally on the same wavelength right now. Anyway, since the weather is cooler, she joined in on the outdoor photos for the first time. Usually if she dared to go into the hot backyard at all previously, she would immediately dig a hole in the shade to lay in (click the link to watch a short video of her doing just that – so cute). I decided to try and touch my toes (cue laughter) and here she came to join in the fun. I was laughing, telling Dennis this was as far as I could go, and Jessie was itching. Her allergies will soon let up as the grass dies, which is another reason to be happy for fall. I tried to touch my toes for real this time, and Jessie sneaked in between my arms and my legs! So funny! There you go. No more toe touching, at least not in this position. I can still cross my legs but that’s getting harder too. I don’t care. I don’t really like having a big belly in the way, not being able to reach things or bend over very well, the swollen feet and hands, heartburn, or achy back, but I want it all to last forever anyway. I love being pregnant, and thank God that I am, remembering how much I would have given seven months ago to experience any of the awfulness that accompanies pregnancy so that ultimately I would have a child of my own. Sometimes I can hardly believe this is really happening and that in less than three months, Lord willing, we’ll get to meet our baby. Totally unreal. Totally amazing. Praise the Lord for this blessing! Posted in Pregnancy and tagged 29 weeks pregnant, baby, hiccups, utero, womb. Bookmark the permalink. I feel for those south of us that have to wait longer for fall, or just weather that is a little cooler. Thanks Pam! I felt a little weird using it since it’s an interpretation of the scripture and not a quote, but I really liked it and felt it really fit here. Glad that in my case, the something being born is a baby! Sometimes we have to work to find contentment with what the Lord gives us (because we have our own desires that aren’t always met), so I try to be grateful not only for myself but for all women who would also kill to have this opportunity and can’t. 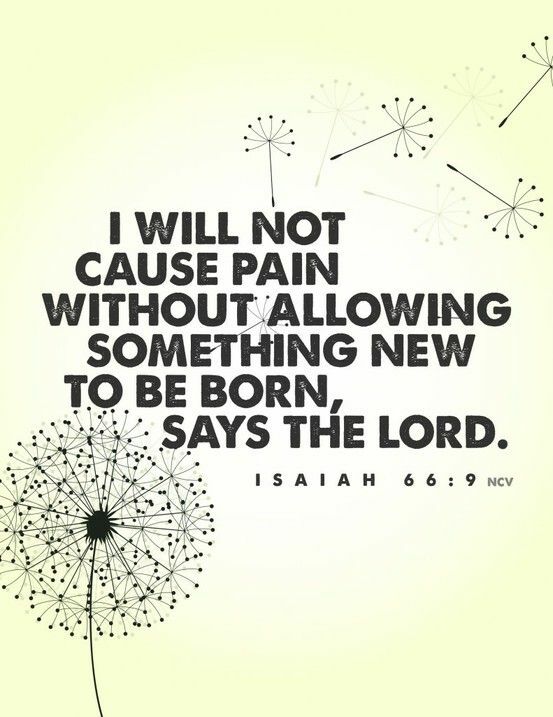 And I’m really glad that the pain is temporary and forgotten so easy but it’s easy to understand why, when the result of it all is a precious new life! Yay for pants weather! I can’t stand going back to work in August and having to wear dress slacks in 100 degree heat. I’m really thankful for actual pants weather. Now, if it would just dip lower than the mid-80s so I can start making cold weather food, that would be awesome! I have a cold weather food complex (it’s gotta be 70s or cooler for chili, soup, and the like). Glad you have pants weather too! And I used to be like you until pregnant, and I have eaten and made so many soups and casseroles during the worst heat of the summer b/c I just had to have them! lol Hope you get your soup & chili weather soon! Veronica, you look so great! I remember (sorry, vaguely…) you have been praying for this for a long time. I am literally months behind in blog reading and news updates (like THIS amazing miracle!!) due to my own first pregnancy and really being quite sick. Planning on an update of my own here in the next day or two. :) But ANYWAY, back to you, look look so joy-filled and I love it. And the name Joshua, what a great strong name. Good for boys, good for men, good for old men. hehe. Anyway, a 29-week late congratulations are in order! Blessings on the rest of your pregnancy. Thank you so much Sydney! 13 years of marriage apparently was the right time for us so I joke that’s my new lucky number. :) Congrats to you as well! I would live in capris and yoga pants all year long if the weather let me. I think Jessie is going to have some adjusting when this baby comes! Cool that you finally felt hiccups! Before you know it, you will be holding your little guy!! Oh for sure. She’s been the baby for 9 years so she will have to learn to give up a lot of attention. :( I know, the time is just flying. Gorgeous photos, you made me grin! Aww I think your belly is totally adorable!! THe unfortunate thing about not being tall is that every pound shows big time. But still…you’ve got a growing baby in there and that’s all that matters! Oh man, I know. There’s nowhere for baby to go but OUT. Hubby and I were talking tonight and I was telling him that I’ve made it this far without stretch marks but might get them by the end b/c I’m going to get much bigger. He was looking at my belly and said, “No, I don’t think you’re going to get much bigger.” He’s in for a surprise. haha! Happy long pant day! I am so ready for fall, too. Is it cooling off in OK yet? I can’t believe you’re 29 weeks already! You planned this well…at least your last trimester won’t be in the summer (done that…it’s rough!!!). You look great! I’m so glad for that! I don’t know how you did it!